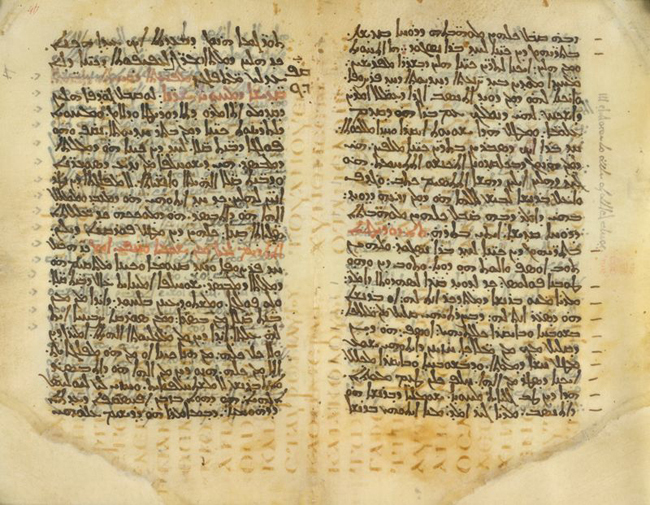 From the all-powerful Wikipedia: a manuscript page from a scroll or book from which the text has been scraped or washed off and which can be used again. Etymology (from etymonline): 1660s, from Latin palimpsestus, from Greek palimpsestos “scraped again,” from palin “again” + verbal adjective of psen “to rub smooth”. And now we shall all remember what palimpsest means.